The NCAA Tournament is here and so is the world of March Madness! The most searched for term this week will be Free March Madness Bracket Contests and listed below are sites that have contests happening starting this week. As more contests get announced will continue to add them below. We all love March Madness and free contests and free money is even better! If you are into daily fantasy basketball, then some sites are still offering up NCAA college basketball fantasy contests. Some sites like DraftKings (which also does DFS) have special FREE March Madness Brackets Contests happeing too! As the week goes on we will add any other free March Madness Contests that we find, but for now, the ones listed below are the ones that you can join today to play! 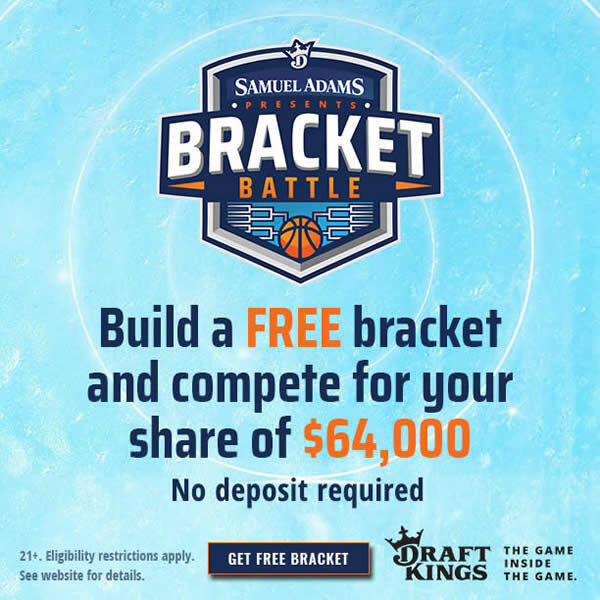 Beer Company Samuel Adams is sponsoring a FREE $64,000 March Madness Bracket Contest run through DraftKings. This isn’t a daily fantasy basketball contest, instead this is a true Bracket Tournament Contest where you pick teams and get points based on how your teams advance. This is probably the best FREE 2019 NCAA March Madness Bracket Contest that will be offered, so it would make the most sense to enter it along with any other ones that you join. You don’t even need to make a deposit to play, although if you do make a deposit to DraftKings you can take advantage of our a complimentary free contest offer when you join using our links. When all 68 spots (64 + play-ins) of the bracket are filled, contestants will play head to head against each other to move on to the next round. Check out the Details here. Being official partners with sites such as DraftKings, FanDuel, and Fantasy Draft, etc... we may receive compensation or other benefits for advertising. Please help us improve our content by using our links which will also earn you the best bonuses and deals at each site! FanDuel will definitely have NCAA March Madness fantasy basketball contests and there are also free march madness fantasy games to play. Check back to see if they run any specific major promos for the NCAA Tournament. Join FanDuel.com here and take advanatge of our sign up offer of $5 dollars when you make any deposit and start playing at FanDuel! FanPicks has run some huge NCAA March Madness Contests in the past, so we would expect something this week for 2019. Join FanPicks.com here and use FanPicks promo code - FANCASH - to get a special deposit bonus of 110% up to $1050 plus free contest entries and up to $35 FREE CASH! Do you need help with making NCAA March Madness Picks for either fantasy or for your tournament bracket? A tool that many top Pros in DFS have signed up to is NumberFire.com. They offer detailed info but also offer picks and have a member base of over half a million. If you ever notice why similar lineups sometimes win in big DFS contests...it's because they are getting their info from Numberfire! 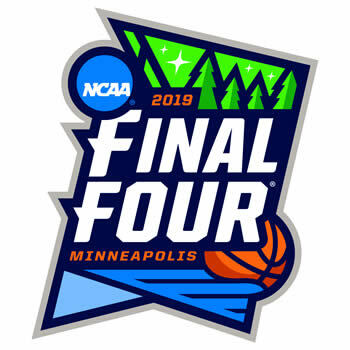 Join them and get infor on how to dominate your March Madness Contests for 2019. Click here to try NumberFire.com!